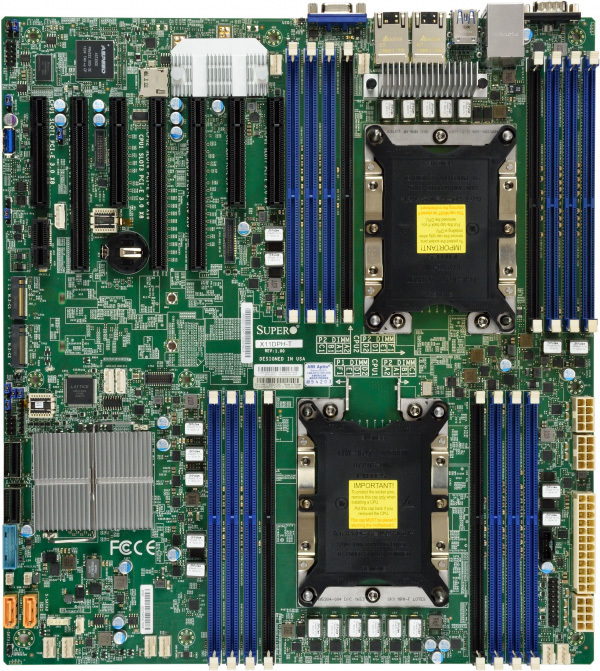 Intel® Xeon® Scalable Processors., Dual Socket P (LGA 3647) supported, CPU TDP support 205W, 3 UPI up to 10.4 GT/s, CPU1: Skylake-F CPU supported. • CPU1: Skylake-F CPU supported. • E-ATX 12" x 13"